Sunde White Industries|Colored in pages from Dinosaurs vs. Machines!! 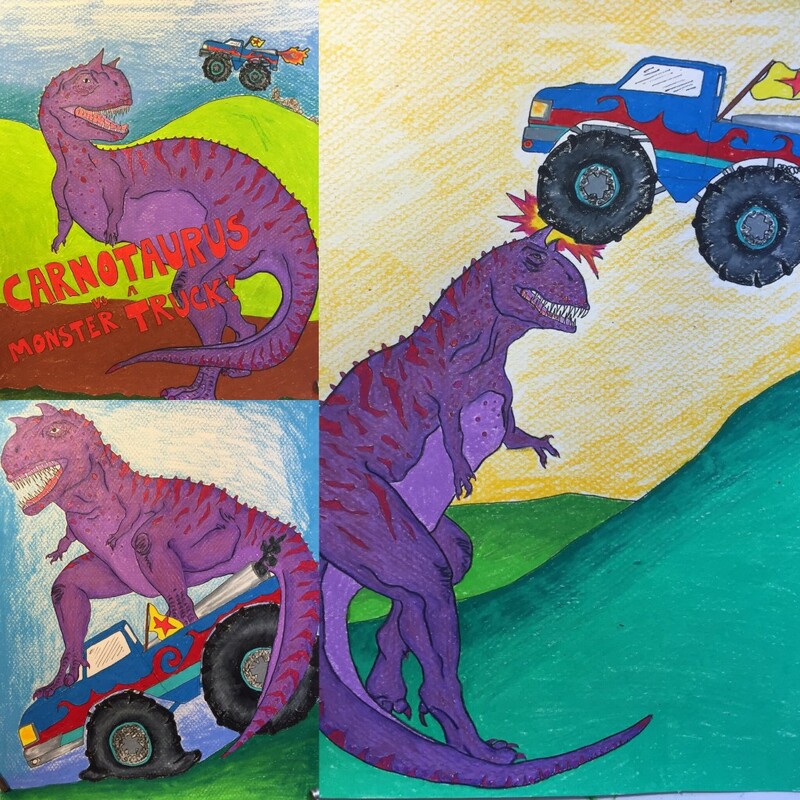 Colored in pages from Dinosaurs vs. Machines!! In our coloring book, “Dinosaurs vs. Machines, The earth will tremble.” There are 6 epic battles between dinosaurs and various machines. Who will be victorious??? It’s out now for your coloring pleasure.